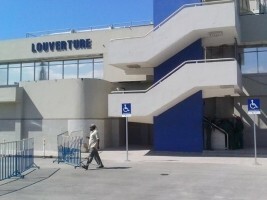 Begun in March 2018 the process of certification of the International Airport Toussaint Louverture, which extends over a period of 18 months, continued with the end Wednesday, of a mission of 5 days of French aeronautical experts come to check and evaluate the implementation of safety and security standards in accordance with the requirements of the International Civil Aviation Organization (ICAO). The certification of the International Airport will certainly encourage the arrival in Haiti of other airlines and put in confidence all the operators of this sector. At the end of their mission, the experts submitted a report to Colonel Irving Méhu, Director General of the National Airport Authority (NAA), indicating the mandatory steps to be taken on the certification path, including the restructuring of the airport security management system. "The continuation of the airport certification process is an obligation to which we are subject," said Mehu, reiterating his institution's commitment to working towards meeting the recommendations contained in the report.